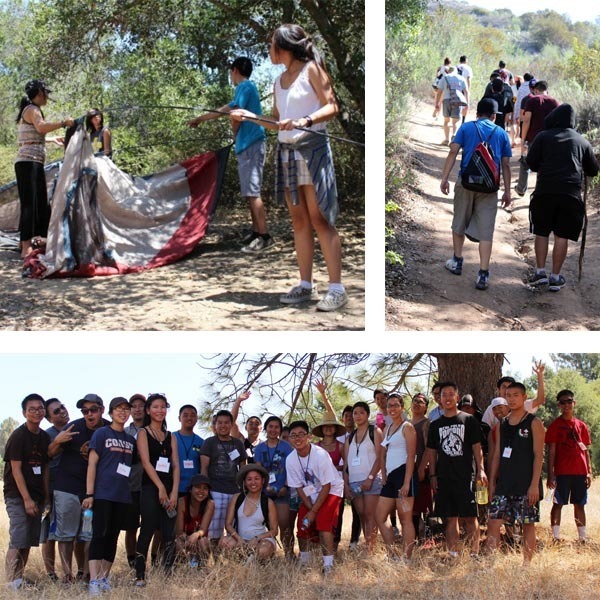 This year, our annual camping trip will take place August 16th–19th at the Angeles National Forest. To commemorate our flagship event, we’ve launched the Light the Campfire 2018 campaign to help crowdfund the necessary funds to run a successful camp! Camp is a 4-day retreat where mentees and staff can unplug from their daily lives and experience nature in a completely different way. The long weekend is filled with team building activities, family meals, and opportunities for individuals to strengthen their relationships with one another. This is the biggest and most anticipated event each year, and we need your help to make this camp better than the last one! Our goal is to reach $3,000 by July 31st. The money we raise through this campaign will go directly to the costs of camp, which include: campground reservations, transportation, food, and supplies. In helping us reach our goal, you will help us keep camp free to mentees and staff! Please help us spread the word about our campaign and please consider making a contribution to make this year’s camp a memorable, educational, and fun experience!